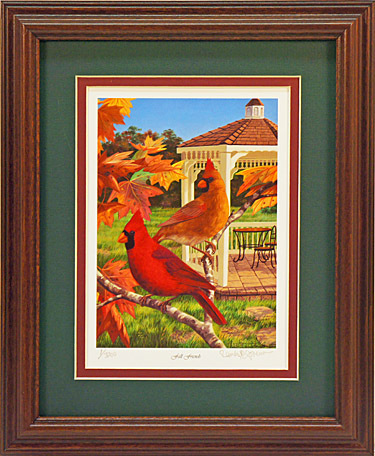 There's nothing like a couple of cardinals to help you enjoy the fall. Perfect for displaying in your bedroom, kitchen or anywhere in your home! This print contains 4 hidden wildlife animals in the background!